Australia is remarkable in that its landscapes are often associated with a single group of plants -- the eucalypts. The genus Eucalyptus includes about 900 species and subspecies, with almost a third occurring in south-eastern Australia in the crescent from the top of Spencer Gulf in South Australia around to the northern New South Wales border including Tasmania. All known species arid subspecies from this region are now included in this new third edition of the "Field Guide to Eucalypts: Volume 1 South-eastern Australia. All are fully described and illustrated with over 1,500 colour photographs and drawings. With each page treatment, the more distinctive plant features are emphasised with bold type and colour photographs showing the form of the species, i.e. tree or mallee, and its bark, flower buds and fruit. The botanical terms used throughout are explained and illustrated in the Introduction and defined in the Glossary. In the revised second edition of 2000, each plant digest was provided with a summary showing where the species fits within the overall classification of the genus and this method has been continued with the current volume. The book begins with a history of the genus Eucalyptus since first discovered by early European navigators and botanists. This is followed by a section outlining the characters we use to identify eucalypts. A separate key is provided for each of the four States and the Australian Capital Territory as covered in this volume. A range of accessible characters is used to distinguish the species. 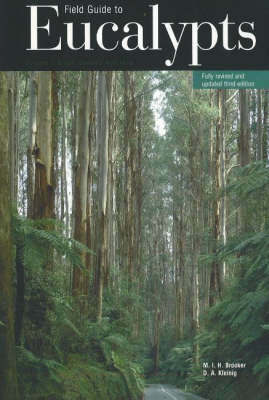 Volume 1 covers most of temperate, south-eastern Australia and provides the most authoritative reference for anyone interested in trees-botanists, foresters, naturalists and indeed, tree-lovers everywhere.